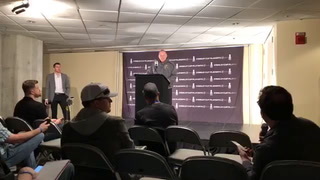 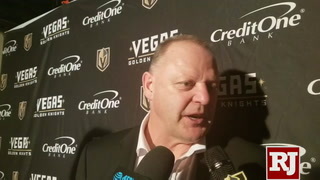 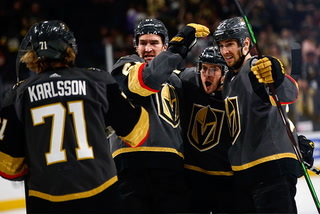 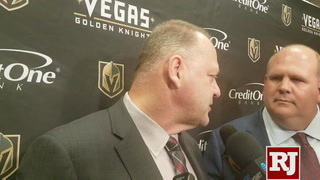 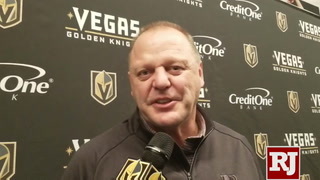 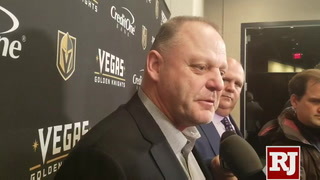 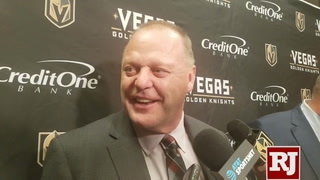 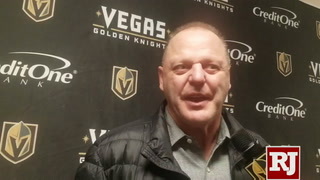 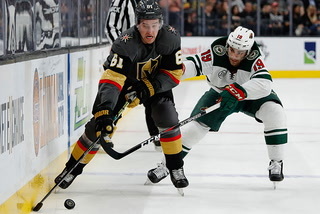 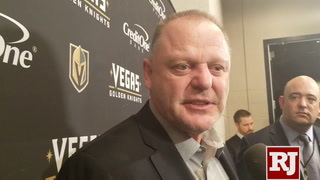 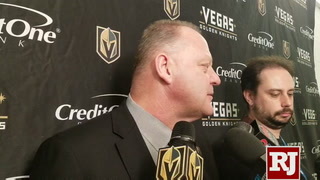 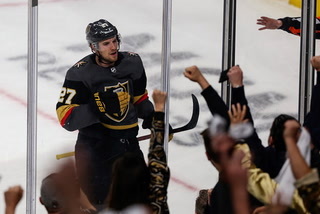 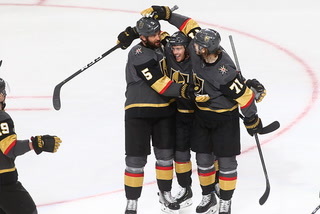 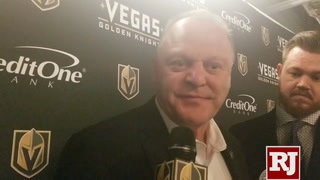 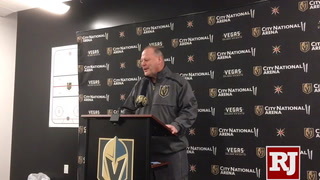 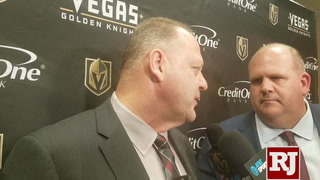 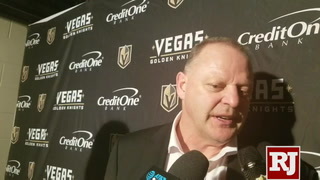 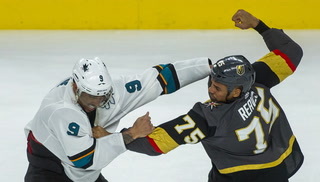 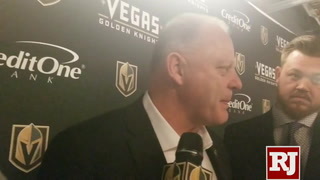 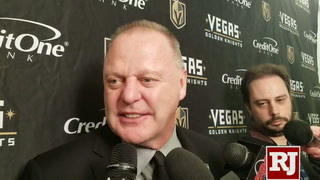 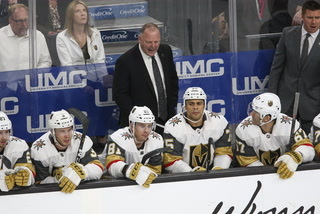 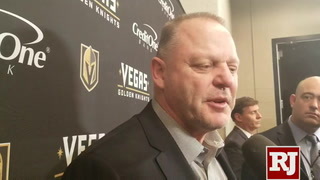 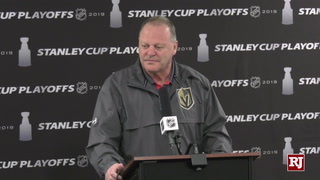 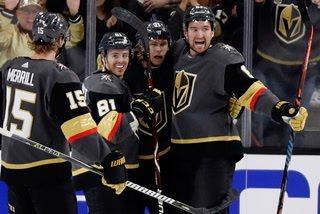 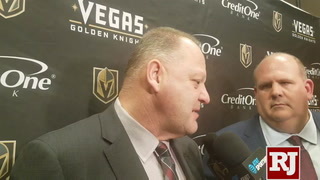 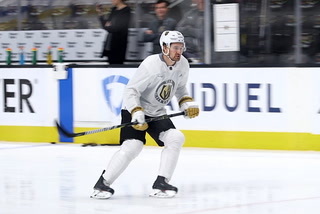 Golden Knights coach Gerard Gallant wants to make sure minor, nagging injuries don’t become major problems with the playoffs just around the corner. 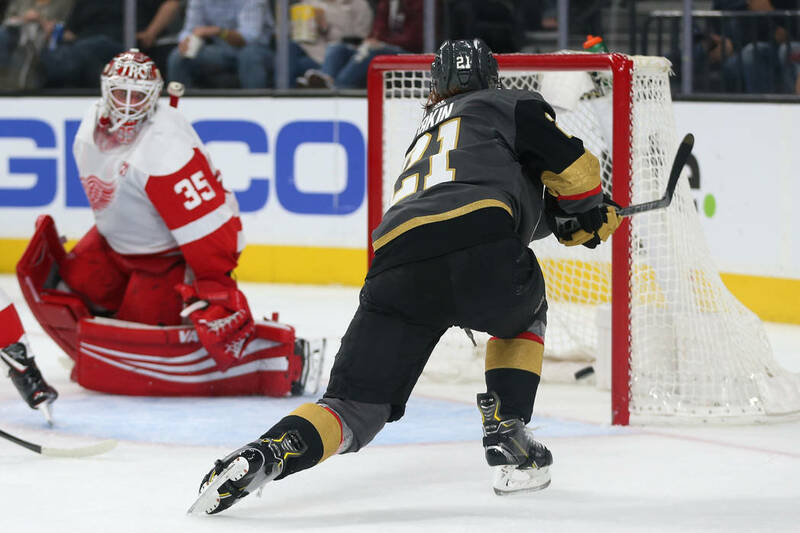 The Golden Knights have been vague about the details of the lower-body injury that has kept goaltender Marc-Andre Fleury out of action the last four games. 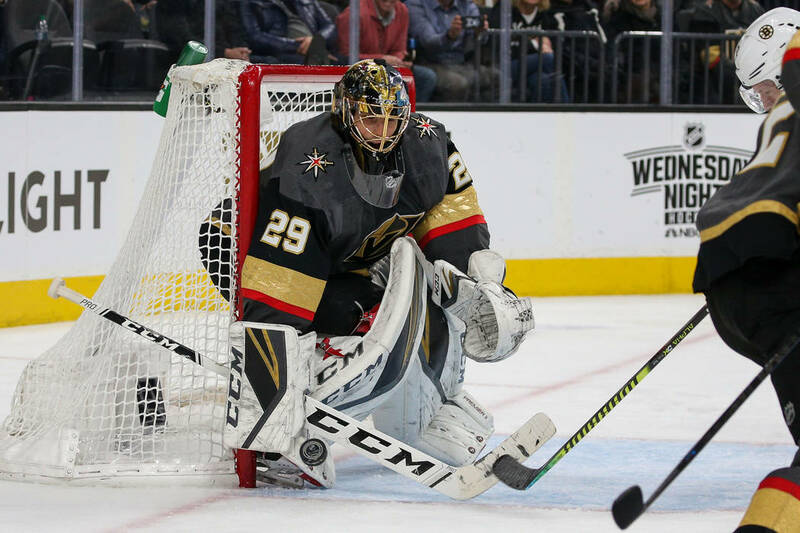 What appears clear is that Fleury’s time on the bench has come at a pretty good time in the season. 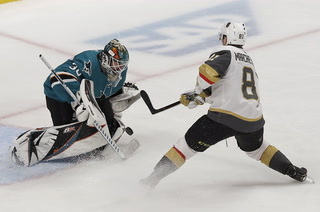 Fleury has been among the league-leaders in games played at the position all season and figures to play every game of the playoffs barring injury, so a rest before the postseason begins can’t be a bad thing. 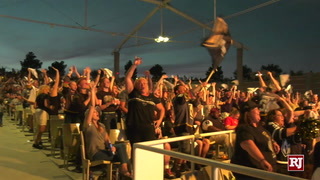 It also coincided with the final days of his wife’s pregnancy and birth of their third child on Friday. 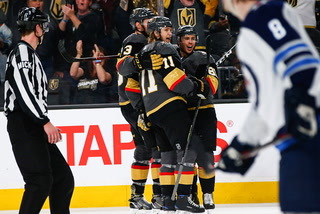 Fleury’s not alone in having a chance to steal a day off here and there down the stretch. 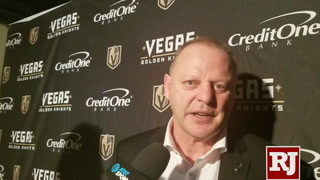 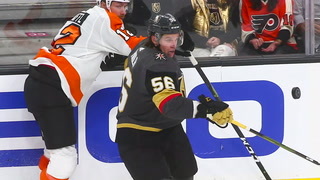 Forward Pierre-Edouard Bellemare has missed the last two games with what he called a “very minor” issue and coach Gerard Gallant has rotated his active defensemen a bit the last few contests. 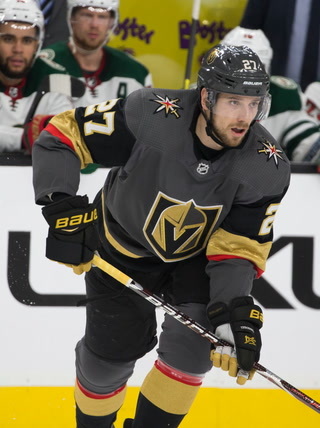 Even forward Valentin Zykov saw his first action since Feb. 9 in Saturday night’s 3-2 overtime loss to Detroit in place of Brandon Pirri. 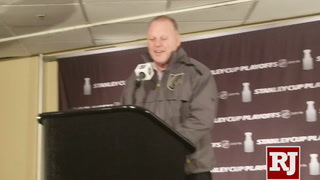 “I wouldn’t say it’s resting guys,” Gallant said Saturday morning before the game. 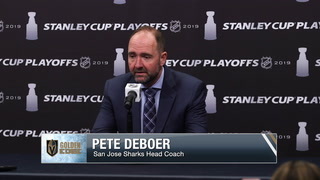 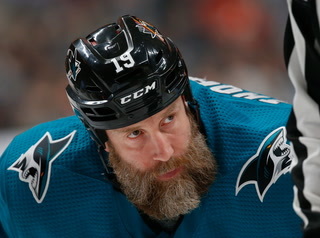 “I’d say it’s more just taking care of little minor injuries to make sure they don’t become major injuries. 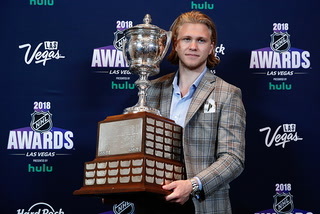 That’s the biggest thing right now. 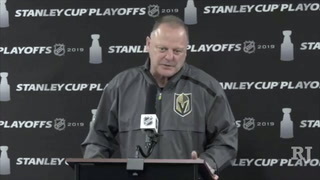 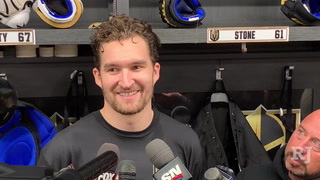 When you’re in a flow like we are right now, playing real well, as a coach you want to keep it going. 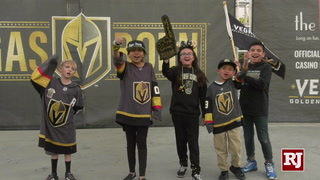 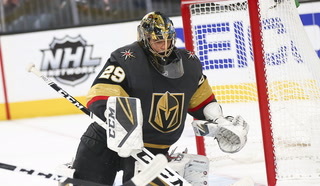 Fleury appears to be nearing a return, though the Knights maintained their level of play with Malcolm Subban going 3-0-1 in his absence. 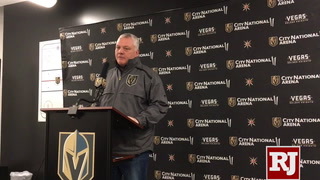 Gallant said it was possible Fleury would join the team on the trip to St. Louis for Monday’s game against the Blues. 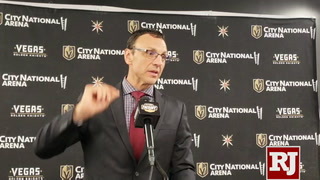 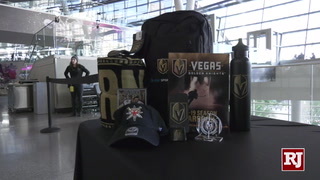 A team spokesperson declined to comment on whether Fleury was on Sunday morning’s flight. 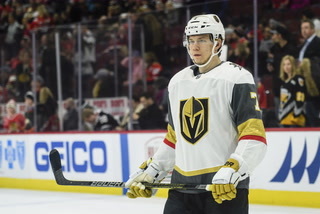 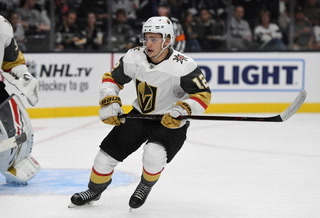 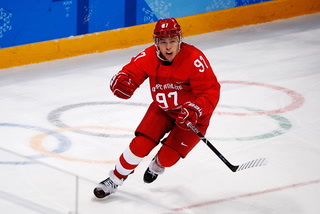 As for Zykov, he played 10:15 and generated two shots on goal in a game that also saw the return of forward William Carrier after missing more than a month due to an upper-body injury. 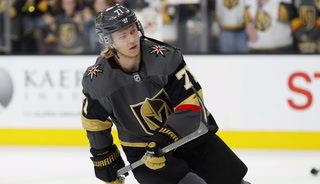 Forward Cody Eakin’s goal in the second period on Sunday night was his 20th of the season, surpassing his career high of 19 when he played for Dallas in 2014-15. 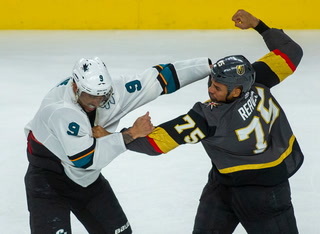 He wasn’t really in the mood to commemorate the moment. 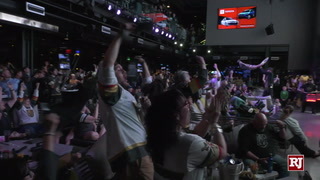 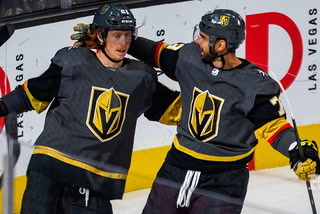 Eakin has nearly doubled his production from last year when he scored 11 goals in the Knights’ inaugural season. 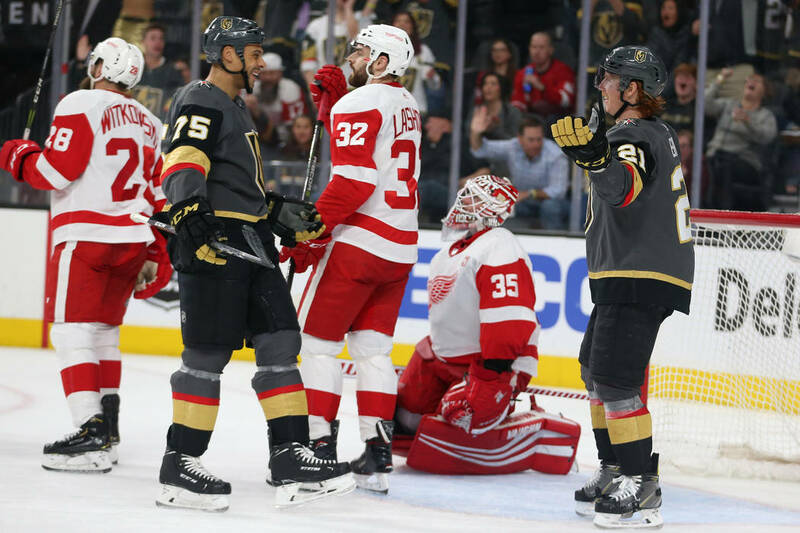 The Red Wings entered T-Mobile Arena as one of the worst teams in the league, but left with a win and some positive memories.